Become a Friend of Orleans Community Health Foundation! Because of you, our friends and neighbors don't have to sacrifice quality healthcare close to home. Now you can make your valuable support go further by becoming a Friend of Orleans Community Health Foundation. Our Friends are our most loyal donors whose small monthly gifts add up to more resources to fund projects that will impact thousands. 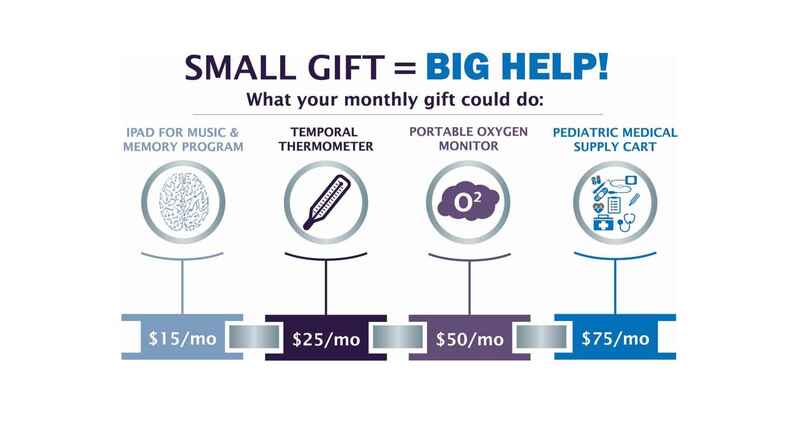 Monthly giving is the easiest way to make sure our loved ones receive the care they deserve right in their backyard. Adjust or stop your membership at any time. Your donation keeps quality healthcare here. So much. So near.